ROAD TOWN, Tortola, VI- The House of Assembly (HoA) seems to be busy this year with meetings. It will convene again on Tuesday June 13, 2017 in a new session. 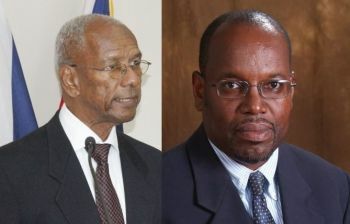 It will be the Eighth Sitting of the Second Session of the Third House of Assembly and both Opposition Members will pose several questions to the front bench Ministers. One of the Bills to watch is the Financial Secretary (Transfer of Powers) Act 2017 which is on the Order Paper for its first reading. While details of the Bill are not clear, it is believed that the new Act is seeking to transfer some of the major powers from the Financial Secretary (FS) to the Minister of Finance, almost stripping the Financial Secretary of his powers. The Bill has some historical implications, as the older Legislation was written when the FS was a member of the Legislative Council. However, where current Financial Legislation refers to the Financial Secretary, it is now proposing to be changed to the Minister of Finance. It is unclear the motive of the Bill as our senior National Democratic Party (NDP) sources reported not to have even seen the Bill. However, the new Bill allows the Minister of Finance to delegate any of the duties of the Financial Secretary to any other officer, circumventing whoever is the holder of the post. Furthermore, it is believed that the Bill is seeking to modernise current Acts, giving more powers to Minister of Finance in the ministerial system of government, making the FS just like another senior civil servant. There have been tensions in the last two years between some Ministers of Government and the FS. 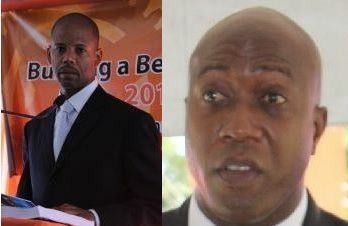 One Minister, Hon Myron V. Walwyn (AL), the Minister for Education and Culture, has blamed the senior civil servants for many of the failures of the Minister of Finance Dr The Honourable D. Orlando Smith (AL). He said at a March 2017 HoA Sitting that it's not the Premier's fault alone that we have not had audited financial reports for some 7 years, plus as the Financial Secretary and Permanent Secretaries are to be blamed also. "The key is the Permanent Secretaries and Financial Secretary and those persons in the system," he shouted while throwing civil servants under the bus. The controversial Minister, who often rants in the HoA, continued “So to come and make it look as if the minister of finance is the one that’s totally responsible – he going to sit down and write the report, no, it’s not that way. We have to look a little deeper in the system…to make it look as if the minister of finance is supposed to be the one writing the reports and he didn’t write them is false. We shouldn’t do that,” the second term Member stated. It was in March of this year that the NDP Administration, along with Governor John S. Duncan OBE, ousted the FS, Mr Neil M. Smith. They have brought back a retired civil servant, Attorney at Law Glenroy A. Forbes to hold the seat until a new FS is decided on. Wow! Vino y'all ahead, shooting more gems than the NBA Games/Finals tonight. Tis ting has more suspense than a suspense novel. Things turning over fast in we vi. Stay ontop of it vino....keep it coming. "things turning over fast in we vi" say ye. Oke agreed but you busy waiting for NBA finals game tonight. This insouciant state of mind is what voted back ndp and now these grave days. Nooooooooooooooooooooo, what is wrong with these people? They are removing all the CONTROLS. We are doomed, GOD help us. So a Civil Servant should be able to hamstring a Government? The people that run for elections and are voted in should be running the country. If they don't do a good job, we retire them come the next election, simple. The civil service is our biggest problem here in the BVI and everyone wants to pretend its otherwise. Wow is he going to be the accounting officer too? Funny man for premier. Are you trying to incite a riot? Vino you all are the best! That controversial must not talk too fast. He can never be Primier. He has no ancestral ties to the British Virgin Islands. The Primier must let him know his limits according to the constitution. Now I think the NDP government lost a darn screw for they are now trust passing on the Governor's portfolio regarding the Civil service act. The is the overall boss of the Civil Servants, you see how darn disrespectful these son of a b***** really are. Giving the crown no respect and will give them more cause to come and control the country. SMDH, it's a darn shame man, it hurts see you sitting down and allowing these things to happen.
" trust passing? "....you lost me ! "Much to done? "....you lost me there. If the people continues to allow more crap to happen like this with the NDP slapping the Crown, then there wouldn't be an election but self rule of the UK will have the rights to step in.. PEOPLE WAKE THE HELL UP, IT'S NOT A JOKE!!! of person in the BVI and Caribbean, as well has broken each country's banking laws - then destroy the place. asking for a nuclear necktie.